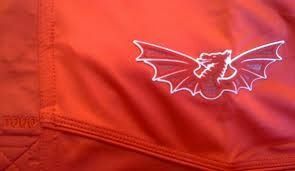 6 Scarlets (inc only 1 back ) named in Wales U20s squad for the 6 Nations. Makes a nice change we usually only have couple of forwards! Very interesting. Now the name Kemsley Mathias is one I noted a few years ago as a prop who some on here felt was going to go far. Any information on any of the others would be welcome. Of course Tomi Lewis is well known but the others are not known to me. Kemsley Mathias is a strong looking tighthead prospect, think he may have another year left after this too. Played a fair bit for Carmarthen Quins this year. Jac Price is a very large second row prospect, highly thought of down at the Scarlets. Morgan Jones another good second row prospect, a bit lighter though. Iestyn Rees I don’t know. Jac Morgan is a very athletic, all action 7 and a good leader too. Think he turned down an academy contract to become an apprentice engineer and play for Aberavon but looks like he’s still with us. Tomi Lewis is a real prospect. A big future ahead I think at 15, very elusive, strong balanced runner, and still quite young. Played a bit of 7s too. Also I think (might be wrong) that Rhys Davies listed with the Ospreys is a loosehead prop from Haverfordwest who was with us until last year, when we released him. 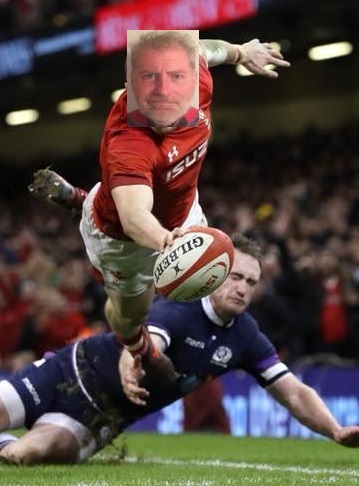 Ellis Thomas from Llanelli is an athletic back rower too, well done on him making the squad without an academy contract, always like to see it. Just a few pointers on your post, Rhys Davies and Jac Morgan were released from our Academy I was surprised to see the later listed as a Scarlets player today . With regards Ellis Thomas brilliant to see him selected ! reminds me of a certain ex Scarlets and Ireland Captain, Iestyn also an excellent back row prospect from Llandeilo . Just a few pointers on your post, Rhys and Jac Davies were released from our Academy I was surprised to see the later listed as a Scarlets player today . Jamie Hill (scrum-half) is one to look out for. Last year I covered the University of South Wales 1st team as part of my course, and he played in the majority of games. I was impressed by him, very sharp around the base of the ruck, loves a snipe, and his service more often than not was very good. Has been playing for Ponty in the Prem, and played for the Cardiff Blues PS team last season. Can't imagine he will start ahead of Harri Morgan, but coming off the bench in the final quarter he could have a big role to play. Thanks for that lads very interesting. Two 2nd rows from the Scarlets - thats progress!!!. Another LLandeilo back row prospect. I shall keep my eyes on these bots for sure. Jac Price at 18 years old for Wales u18s.. 6”6 and 108kg. Not had someone with that natural size in a long time, looking forward to seeing him in action at this higher level. Yes thats a big lad at 18. Would be wonderful to see a local 2nd row push on and make the 1st team within the next few years. Helps has been a slow burner but he has taken his recent chances well. Wales u20s have named the following team for their opening fixture of the 6 Nations against France this Sunday. Joe Roberts the 23 not included in the original squad so guess he’s been added recently, a serious prospect. Pacy, good hands, still young too. What is the position with regard to Ellis Thomas as I see he is listed as Llanelli? Joe Roberts played for the 18's last year if I remember correctly. Ellis his an excellent prospect a Pwll boy who plays flanker, mainly blindside Joe his an outside centre who as also been playing for Llanelli RFC and was Wales Under 18s last term . As far as I can tell most of our boys involved have at least another year again at this level, Tomi Lewis, Jac Price, Jac Morgan, Kemsley Mathias and Joe Roberts do I think..
Could be a good crop.